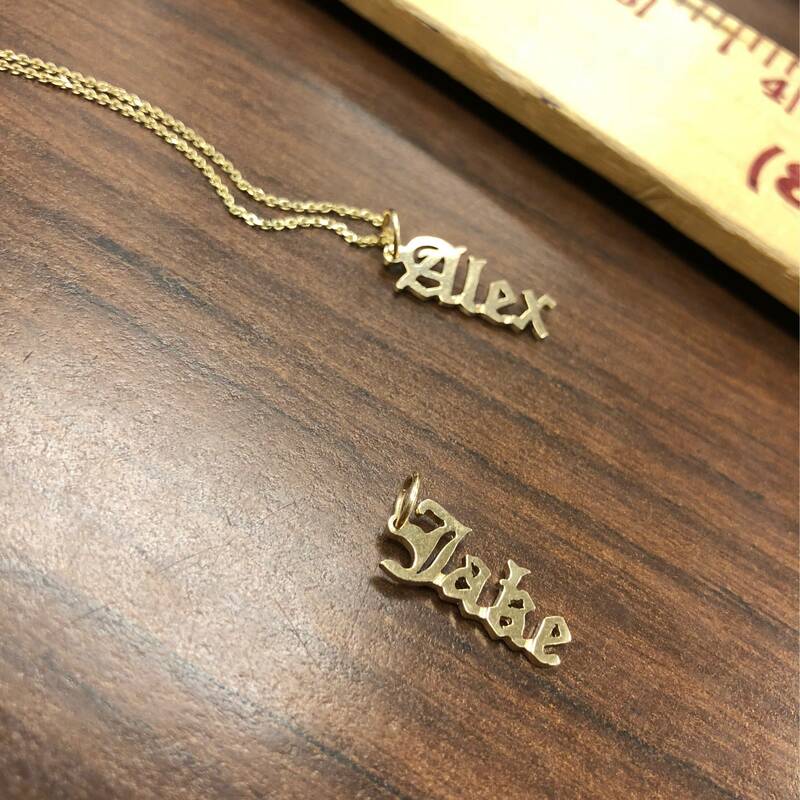 A twist on the tradition name necklace. 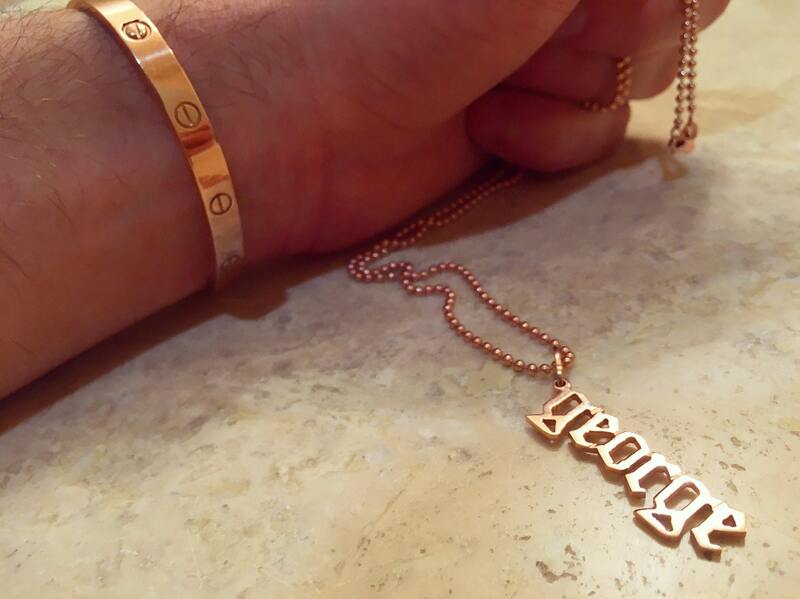 Name is hand cut in genuine 14 karat gold in a trendy Old English style font. 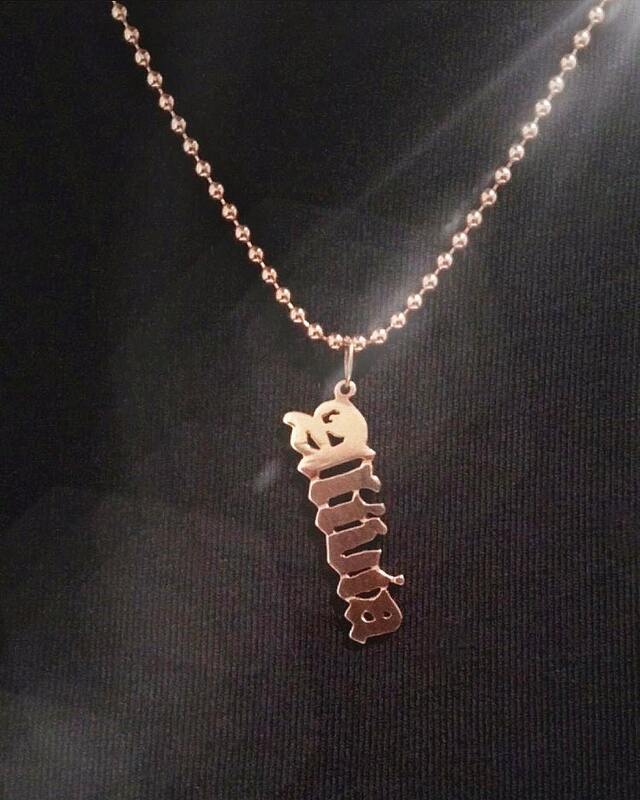 As each name varies in length so does the pendant, usually cut to be around 2 inches long. Available in 14k yellow, rose and white gold. Makes a great gift for him or her. Chose to purchase without a chain, a 16 inch or 18 inch chain. The chain pictured is sold separately. Surpassed my expectations!! Many thanks it is perfect.